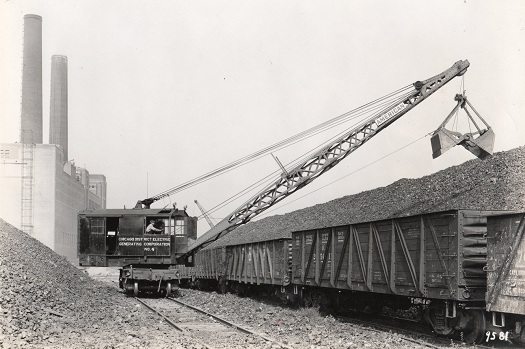 Today we’ll continue our discussion of coal’s journey through a power plant. Keep in mind that the material presented in this series of blogs is meant to be a primer. It is a simplification of what actually goes on. My training seminars go into much more depth. Now imagine a five course meal spread out on the table before you. You load up your plate and pack a forkful of food into your mouth. 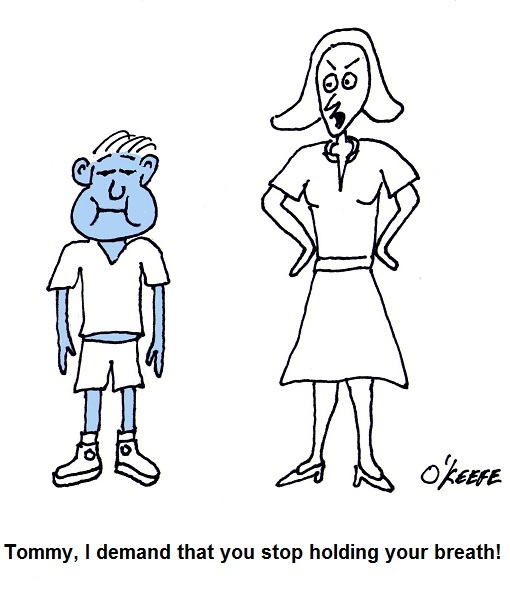 You instinctively chew, getting the digestive process underway and making it easier to swallow. Power plants approach their consumption of coal in much the same way. Last time we talked about handling the coal and filling up silos for short term storage within the power plant building. The coal silo is analogous to a dinner plate, and the furnace, which heats up the boiler water to make steam for the turbine, acts very much like a diner’s stomach. As for the fork and your teeth, there are a couple of machines within power plants which mimic their behavior. They’re called the coal feeder and coal mill. The coal feeder does as its name implies, it systematically feeds a measured amount of coal to the coal mill. 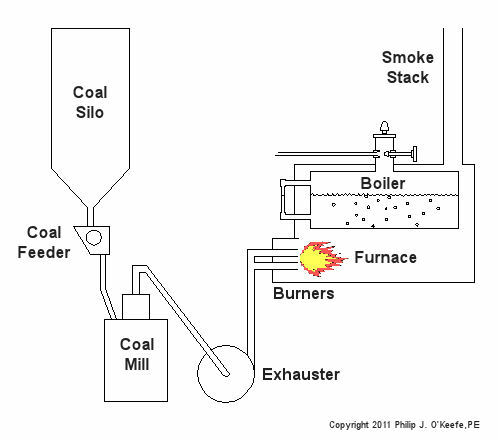 The coal mill, also known as a pulverizer, then grinds the coal to make it easier for the furnace to burn it. Let’s take a look at Figure 1 below. At the top of the configuration is the coal silo, which is fully open at the bottom. Gravity draws the coal within the silo downward, facilitating the coal’s dropping through the opening into a chute, on its way to the coal feeder. The coal from the silo spills into little buckets on a wheel within the feeder, and as the wheel turns, the coal spills out and falls down into another chute leading to the mill. Now you could have the coal spill down a chute directly from the silo into the mill, bypassing the coal feeder entirely, but that’s really not a good idea. Just think how difficult it would be to chew if you tried to stuff an entire plate of food into your mouth at once. Just as your mouth requires to be fed in mouth-sized amounts, the coal mill must be fed coal in a size that it can handle. It’s the job of the spinning wheel inside the coal feeder to keep coal flowing in measured amounts to the mill. 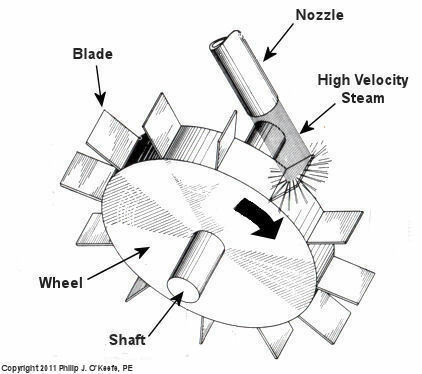 You see, the wheel is attached to a variable speed motor, and depending on how quickly the furnace needs to be fed, the wheel will either turn faster or slower. Once inside the mill, the coal is ground up before moving on to the furnace. The coal mill contains massive steel parts capable of pulverizing chunks of coal into a fine black powder. 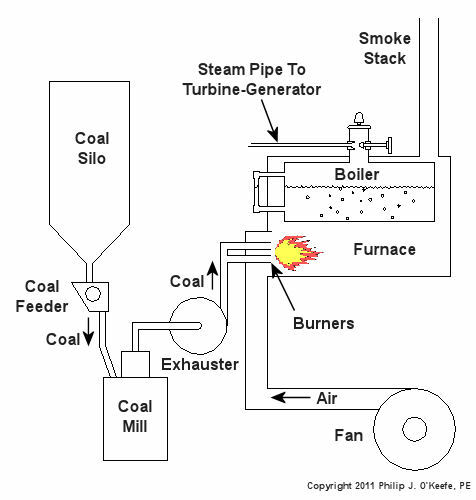 This pulverized coal is then propelled by means of an exhauster towards the burners. 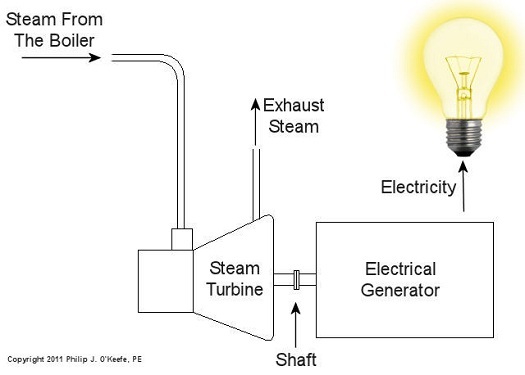 The exhauster sits next to the coal mill and both are often driven by the same electric motor. The exhauster is connected to the top of the mill by a pipe, and another pipe connects the exhauster to burners on the furnace. The exhauster acts like a big vacuum cleaner, sucking coal powder out of the mill, then blowing it through pipes leading to the burners. Finally, the powder ignites within the furnace, heating the water inside the boiler. Next time we’ll learn about the combustion process in the power plant furnace.